The Range Wireless Charging LED Lamp is the perfect desk addition. 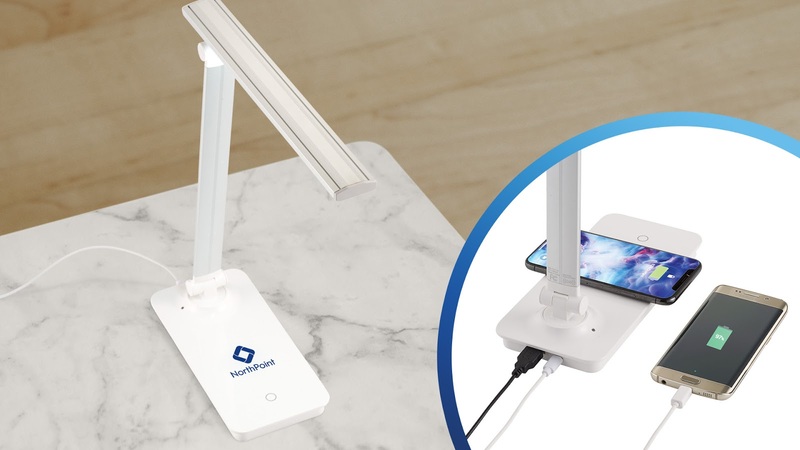 It features an LED lamp with three levels of brightness, a wireless charging base with 5W output and an extra USB port at the back of the base! 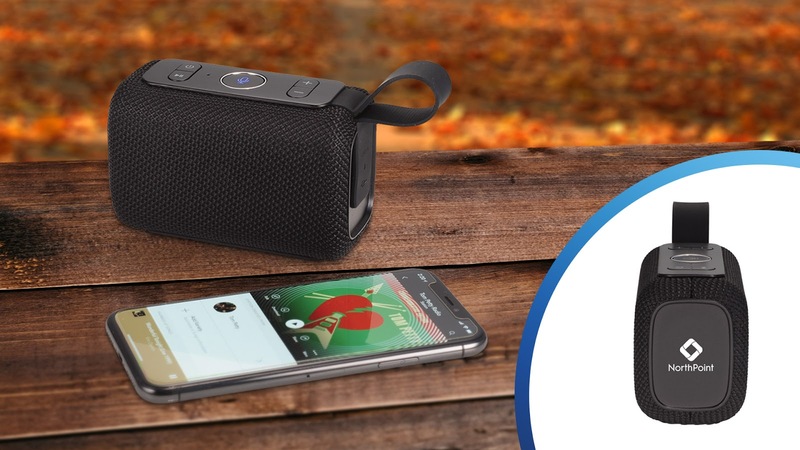 The Double Dip is a Bluetooth speaker that works up to 25 feet from your connected device and provides 10 hours of listening time. 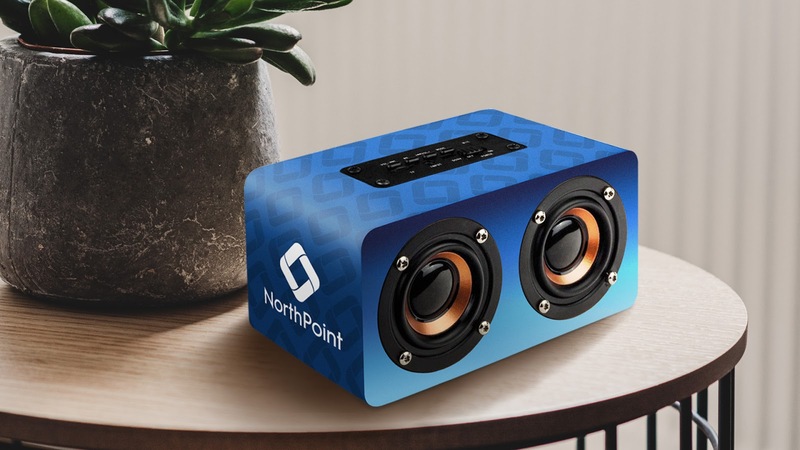 Featuring built-in dual woofers, this speaker provides great sound quality and a classy look with a full color imprint on all sides. 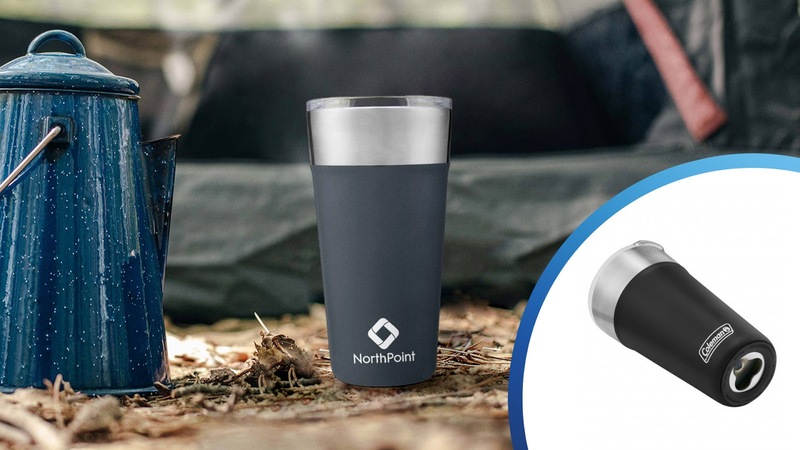 Vacuum insulated stainless steel construction and it includes a clear plastic lid with a slide-able spout cover. 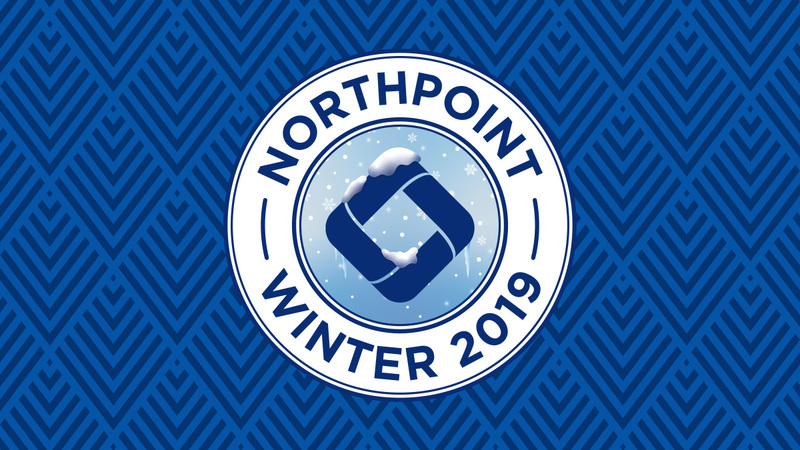 No sweat design keeps ice cold for up to 15 hours. Bottle opener integrated in the bottom of the cup because, well, it's just that awesome! Iced coffee in the winter? No problem. 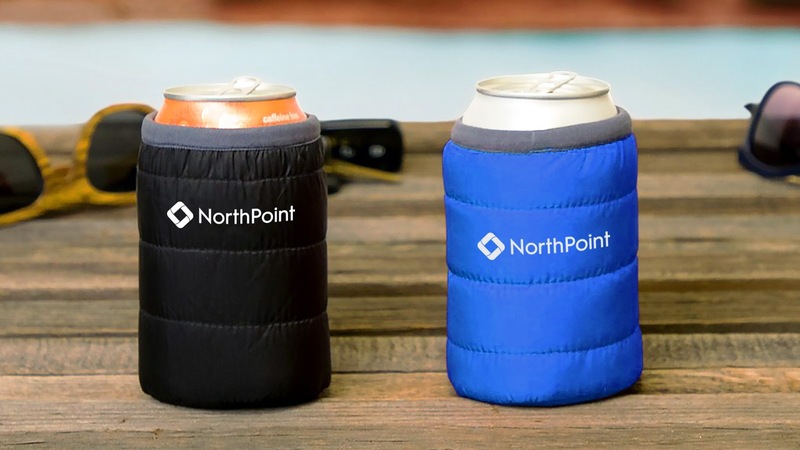 The Puffy Can Jacket is an insulating sleeve to keep your beverages cold and not your hand. The elastic top keeps your drink from sliding. It's the perfect cold weather jacket for your beverage this winter! Tailgate season is in full swing and now you can take Alexa with you into the great outdoors (or parking lot)! Alexa can now operate from your Bluetooth speaker. Simply push the microphone button and Alexa is activated. With a 5 Watt output, the speaker will fill any room, campsite, or tailgate area. The speaker is sealed tight with a waterproof rating of IPX6, so you don't have to worry about it getting wet either!